This book tells the fascinating and often heroic story of the mission and the people of Harvington from 1580 to the present day. 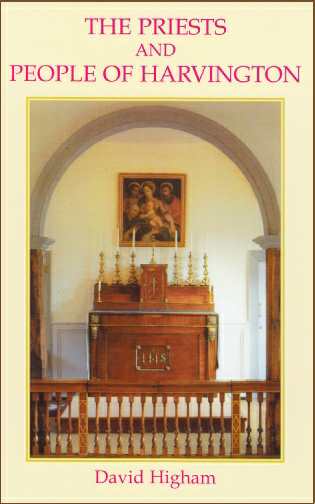 Chronicling one of England's most important Catholic sites, it contains a wealth of detail for local and family historians, as well as for anyone with an interest in Recusant History or in how the Church has been formed in England. Harvington, a moated manor hour in the north Worcestershire countryside was a centre for the undercover mission maintained throughout the Penal Days by the recusant Pakington and Throckmorton families and their priests, who could be sheltered in the many hiding places for which the Hall is celebrated. Harvington has survived into modern times and is now a shrine to St John Wall and his fellow martyr priests of the Midlands.